Recently Alon Goshen Gottstein was interviewed by Brigham Young University Radio for their popular show In Good Faith. The interview provides an occasion to glimpse the life experience and educational philosophy that informs the ongoing work of Elijah. Archbishop Antje Jackelen, presiding bishop of the Church of Sweden, is one of the leaders who contributed to the Make Friends initiative. The initiative needed little introduction in the Nordic context. Recently, Alon Goshen-Gottstein was invited to address a gathering of Nordic religious leaders. 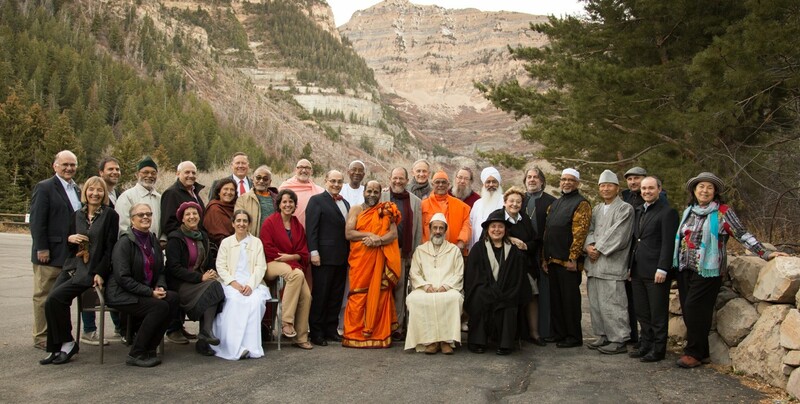 Together they explored what lessons they could share with each other concerning friendship and how friendship could serve as a broader movement, uniting religious leaders and communities. Some important stories of friendship emerged. One story in particular struck me, and it concerns the town of Malmo. Malmo is (or was) the most tense town in Europe, maybe even globally, as far as Jewish-Muslim relations are concerned. So much so, that for many Jews it was impossible to continue living there. In attendance at the conference were the new rabbi and the Imam of Malmo. As we learned from their testimony, it only takes one man (at least on each side), some daring, genuine openness and the willingness to stay true to one’s religious principles to bring about change. Within a short span of time, the situation in Malmo was reversed in an extreme way. 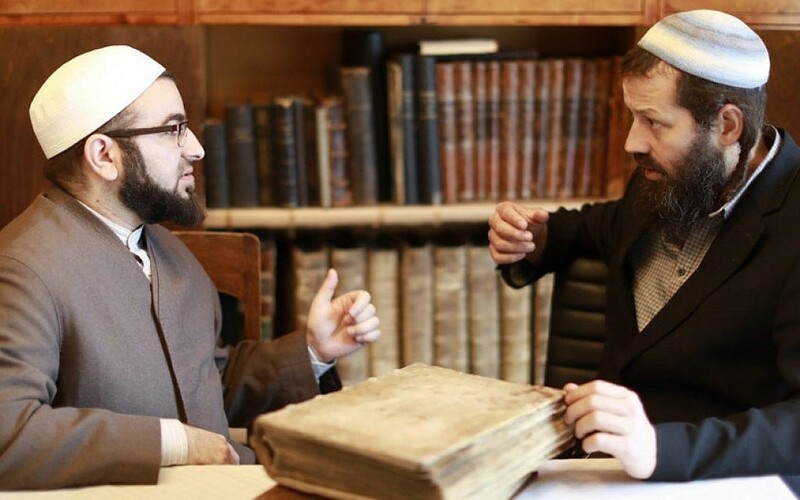 Modeling friendship, the friendship between the local Rabbi and local Imam, has modeled a better future for the religious communities in Malmo. To read more about this daring and transformative relationship, click on the picture below. Elijah Institute supported and took part in a meeting of local religious leaders, on the occasion of the visit to Israel of Hajji Pak Yahya Staquf, leader of the Nahdlatul Ulama, a 60 million strong Muslim organization in Indonesia, who was in Israel as a guest of honor of the AJC, and engaged in a public conversation with Elijah board member Rabbi David Rosen. Click here to see the conversation. One former leader of the organization, the largest Muslim organization globally, was President Abdurahman Wahid, who was founding member of the Elijah Board of World Religious Leaders. Elijah thus had a natural connection with Nahdlatul Ulama, and the recent visit to Jerusalem allowed for the recovery of that relationship, laying the ground for future participation of NU’s leadership in Elijah activities. The challenges pertain to heart and mind. On the level of mind – all too often we hold narrow views, and attribute these to the teachings of religion. We need to engage in work of theology of religions as part of purifying our religion and discovering its higher and highest vision. We need to purify our religion, all religions, from the egotism and narrowness that we all too often ascribe to religion, and to do so as a spiritual exercise, drawing from true religious resources. On the level of heart – compassion cannot be simply an idea to spread about. It has to be a reality that comes from our heart, from our being. For this, we need to grow in spirit, in prayer, in rising to a higher spiritual vision and reality, from which we can draw and through which our heart can expand. Special moments like the Eid are times for growing in vision, in spirit and in heart. May this be a time of increasing love, in living in the spirit of rahma. 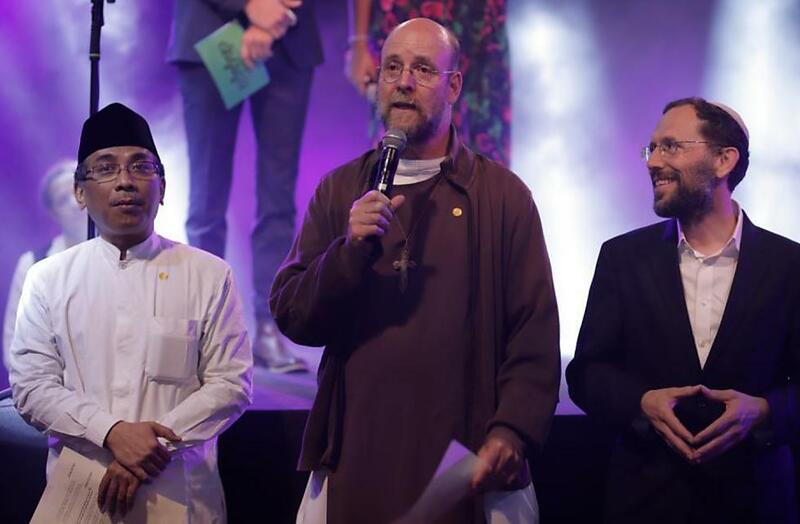 Elijah was delighted to contribute to the interreligious nature of the mass-singing event, by suggesting and helping facilitate a brief interreligious prayer at its opening, thereby exposing the masses attending this event to a sample of interreligious prayer and solidarity. For coverage of the event in Israeli media and clip of the brief prayer, click here. “The whole of humanity is one family. Each human being is a spark from the divine flame.” How can we not be friends? Click on the picture below to hear one of our religious leaders share about his personal friendship.